The number of dead from bomb blasts has risen to 52. The explosions happened in churches and hotels this morning, injuring more than 280 people. V-Awards was initiated to recognise Sri Lanka's volunteers islandwide, who are engaged in volunteer activities out their own free will to increasepositive changes in the society. 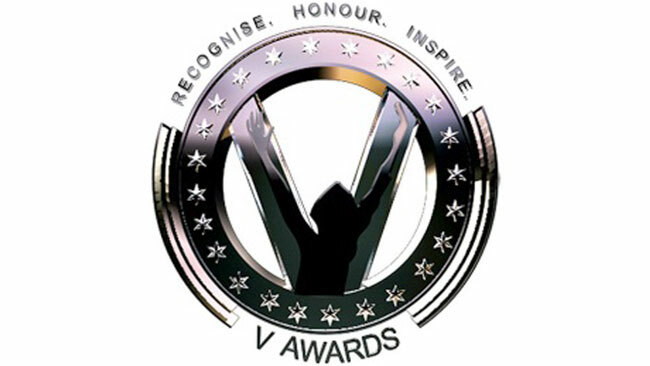 It being the third edition of honouring inspiring acts of volunteerism, the Grand Finale of V-Awards 2015 will be held today at the Nelum Pokuna Theatre in Colombo. Renowned personalities such as Kumar Sangakkara, Pooja Umashankar and Lahiru Perera have endorsed this endeavor as Goodwill Ambassadors. Ten deserving volunteers out of 600 nominations were shortlisted as finalists by an independent panel of judges. These 10 selfless individuals will be celebrated at the Grand Finale where three awards, "Volunteer of the Year", "Youth Volunteer of the Year" and the thematic award for "Volunteering for Disaster Risk Reduction" will be presented. Anuradha Nilupul: A printer by profession, Nilupul is committed to the preserving and protecting the Bolgoda Wetland system. He is also the founder of "DaltharaParisarakayo" (Dalthara Environmentalists). Danesh Maduranga: A software engineer by profession, Danesh uses social media to raise awareness about those in need and bring about positive social change through his organization, "Samaja Sathkara.lk". Traveling extensively to identify the lack of resource distribution, Danesh has reached out to over 15,000 lives through these projects. A community leader, Chandrasiri addresses issues within his locality. He spearheads work in many fields including education, community and rural development. Rev. Fr. Hyacinth Thisera: Growing up as a child, witnessing firsthand the effects of substance abuse in his community, FrThisera committed himself to changing lives of those affected by it. By commencing weekly peer group meetings on abstinence that continues to bring together adults and youth struggling to overcome substance abuse, providing them with an opportunity to rebuild their lives and restore their dignity. He also directs victims and their families towards counselling, medical support and continues to monitor their progress to reduce the risk of relapse. Selfless and inspiring, Fr. Thisera remains a role model in communities that have complex social challenges and unites people for common cause. Kasun Jayathunga: Born with a hearing impairment, Kasun faced tremendous hardship as a child. With support from family and friends he learned to read and write in Sinhala and English which enabled him not only to converse fluently in Sign Language and Lip read but also to excel in his studies. Through his foundation "SumagaRuhunu Circle of Deaf", Kasun has worked diligently to empower others like him. Kumarini Wickramasuriya: Supported by her family and friends, Kumarini started off the "Navajeeva Rehabilitation Center" opening the doors of her home to children and adults with mental and physical disabilities. She selected a few youth in the area and equipped them with the necessary skills and training to serve the residents of the center. Lorraine Yu: Embarking on a long and challenging journey to raise awareness and combat the stigma associated with Alzheimer's disease, Lorraine is committed to educate people about the disease and assist those who suffer from it. She went on to establish the "Lanka Alzheimer's Foundation". Initially caring for guests in her own residence, she worked painstakingly to establish a permanent center to help people with Alzheimer's disease. Nishadha Himanshi: A final year undergraduate of University of Sabaragamuwa, Nishadha set up the Voice for People Community Foundation to lend a hand to those in need. The foundation carries out its work in areas of educational support and community service. Nishadha is also focused in teaching support for children in rural areas. Rev. Fr. Paul Satkunanayagam: Witnessing the hardships endured by people during armed conflict and the Tsunami, Fr Paul served the people in Batticaloa through a variety of community related programmes. A trained counsellor, he offers community based counselling to people of all ages. It is his belief that dedication and encouragement can help a person overcome his challenges. Fr Paul is committed to providing better and secure surroundings for children and youth orphaned by war. His compassion has healed those who have been battered by war and poverty, irrespective of race or ethnicity.